I kept forgetting posting this new great find of mine. Some women essentials, something new to my eyes. It’s Nivea Lotion: Angel Star, it’s good for any type of skin. 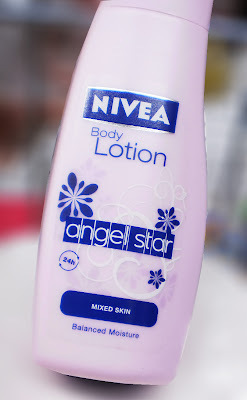 Just like any other Nivea lotions which I’ve been used to empty bottles, this pink angel is also as good, only it has a distinct rose scent and it’s not greasy at all. Love packaging, love the scent love the prize. agi ko..nag adgi ko diri. Maayong adlaw! Lami lagi ni itry.. Hehehe.. Here is my main blog: http://noypistuff.blogspot.com… Please leave a comment there if you have posted the e-card so that I can submit your post to the contest. i guess i should try different lotion, i guess this nivea can make my skin soft! I used to use nivea klotion when I was still there ate and I liked it a lot!